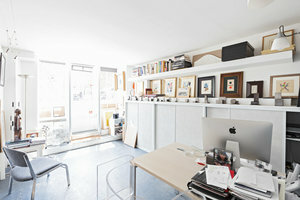 This compact gallery space located on the very popular Île de la Cité is perfect for brands looking to host a Pop-Up Store, Art Exhibition or Private Sale. 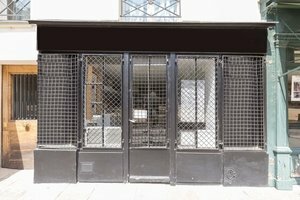 This gallery has an eye-catching frontage with metal grating over the glass door and two display windows. There are cozy interiors with white walls, worn wooden flooring and a small partition in the back that can be used for storage giving the space an intimate atmosphere. 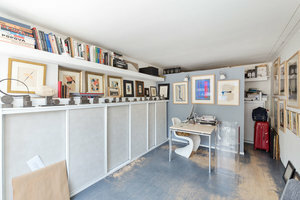 With counters, a stock room and internet, this space is ideal for brands and artists looking for an intimate setting to connect with customers. Situated close to numerous tourist destinations such as Sainte Chapelle and the Notre-Dame Cathedral, this space is well-located for small-scale pop-up event in a very bustling area of Paris.